ChargeIt by Jay Brick Brown Round Rattan Charger Plate 13"
Home > Products > ChargeIt by Jay Brick Brown Round Rattan Charger Plate 13"
This item will be back in stock September 16th. Order now to reserve. 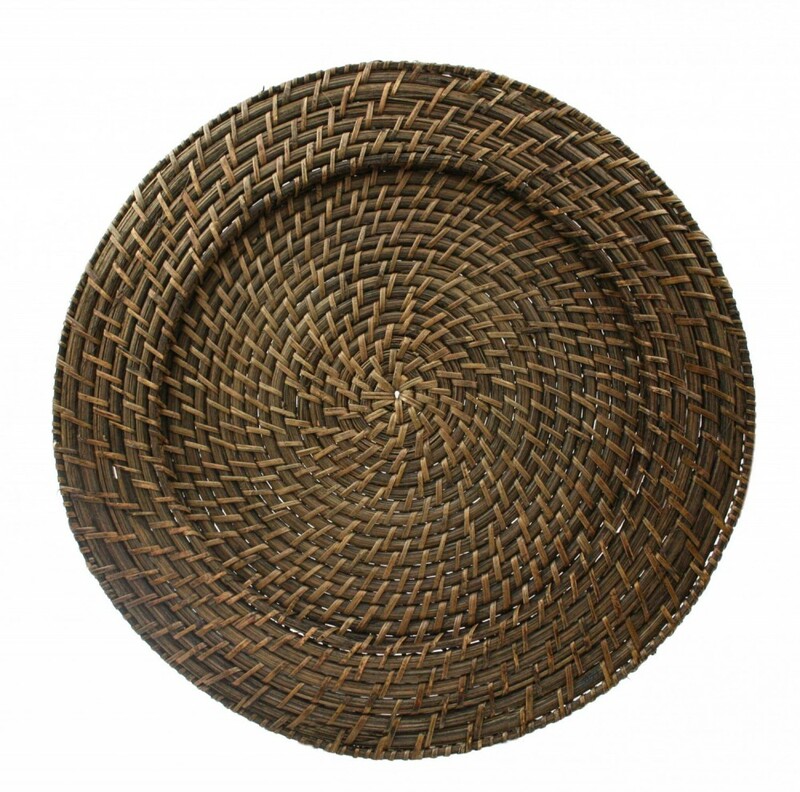 Create an eye-catching, eco-friendly impression with the ChargeIt by Jay Brick Brown Round Rattan Charger Plate 13". Boasting an intricate thick weave, this rustic charger plate is perfect for outdoor events, cafes, or hotels with an island styling. Exuding a sense of nature and warmth, this brick brown charger plate provides a striking backdrop for bright white plates or glazed ceramic plates. Made from premium quality rattan, this charger provides unbeatable durability and product life. Perfect for presenting multi-course meals, this charger plate accommodates standard size plates and protects against spills and mess that might otherwise stain your tablecloth. To clean and maintain this charger plate, hand washing is recommended.